We’ve simplified things with our “Best Of” rankings here. If you don’t have time to research cards, take advantage of our expertise! Need a primer on Rewards Cards? Check out Rewards Cards 101. Don’t Let Offers Disappear – We’ve seen a LOT of offers come and go. Some offers have clear expiration dates, and others just vanish without warning. My advice: If you are ready for another card, and you know the card you want… Don’t delay! Please note: You can support Travel Freely by using our partner links when you sign up for a card, which may earn us a commission. See full advertising disclosure below. If there’s a better link I can offer that will not earn commission, I will post the better offer. I hope that earns your respect and trust over time. 1. Chase Sapphire Preferred sign-up bonus is up to 60,000! The number one personal card got a little bit better. This offer just went into effect a few weeks ago. Keep in mind that the annual fee of $95 is NOT waived anymore. For some this change is not a huge increase in value. If you value Chase points as high as we do, then the simple math is that 10,000 extra points can be valued from $100-$250 in cash or free travel based on how you use the points. So trading $95 upfront for $100-250 is actually a pretty good deal. 2. 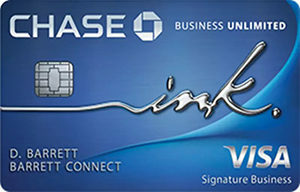 Chase Ink Business cards with sign-up bonuses of 80,000 and 50,000 points. Here’s a HUGE TIP: If you own multiple businesses, you can get multiples of the same Chase Ink cards. That is a super simple way to earn a lot of Chase Ultimate Rewards points. Read more about this in the free PDF: Travel Freely’s Guide for Small Businesses. Email me with any questions ([email protected]). Bonus Tip: Hit a sign-up bonus by paying your taxes with a credit card! Did you know that the IRS allows you to pay your taxes with a credit card? Here is the IRS website that gives you three options, all with a third-party processor with fees under 2%. This is a no-brainer if a 2% fee will help you hit a sign-up bonus. At Travel Freely, we are all about maximizing great sign-up bonuses. It’s part of our approach to get the most amount of points in the least amount of time. Sign-up bonuses are the #1 way to rack up points WITHOUT traveling or spending a lot of money. Some people get more rewards in one bonus than they would in an entire year’s worth of spending on the same old card they’ve had for 5 years. Check out the BEST deals here. This is the best overall business card right now with a great sign-up bonus and 3X categories. 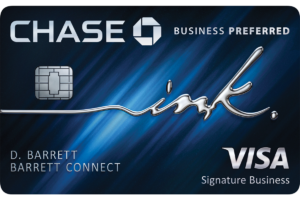 It’s hard to beat the Chase Ink Business Preferred if you’re looking for an all-around business card that has flexible redemption options and can be combined with your personal Chase Ultimate Rewards points. Incredible signup bonus for a no-fee card. An excellent companion to the Ink Preferred, personal Sapphire Reserve or Sapphire Preferred. Like the personal Sapphire cards, this card earns valuable Chase Ultimate Rewards. Earn 5X rewards (on first $25k spent) for phone, TV, internet, and office supply stores. An all-round great cash back business card with no annual fee. It’s very simple. You earn unlimited 1.5 points per $1 spent on all purchases. Also has 0% APR for 12 months. 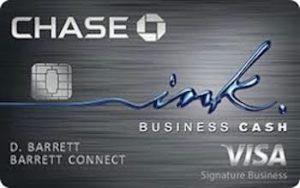 This can be a great standalone card, but it is a excellent companion card to the Ink Business Preferred, Sapphire Reserve or Sapphire Preferred! 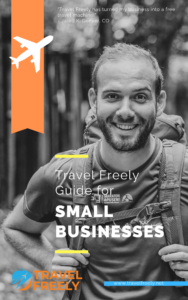 Read Travel Freely’s Guide for Small Business Owners. What’s Our Criteria for the Best Cards? 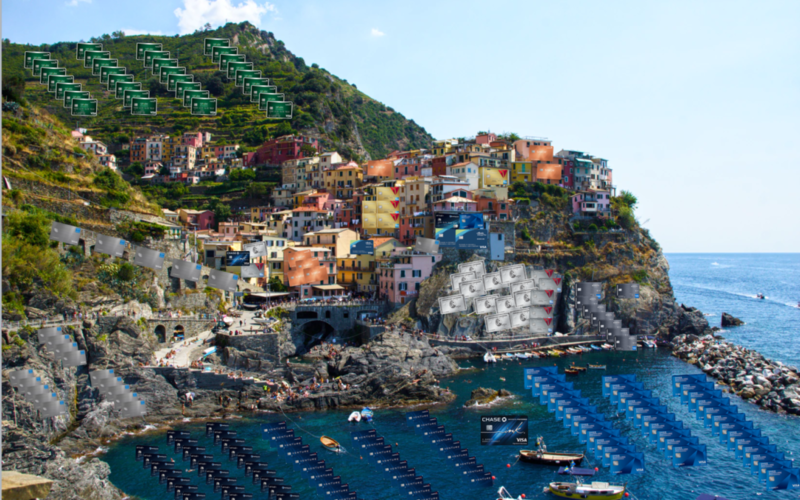 Value of points – Not all points and miles have the same value when it comes time to redeeming them. We take this seriously. 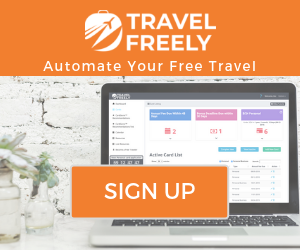 Bonuses – Travel Freely seeks to maximize sign-up bonuses, so if great sign-up bonus offers come out, those cards will move up in the rankings. Type of Card – We value airline cards higher than hotel cards because airfare never goes on sale (whereas hotel sites can get you almost 50% retail rates). So airfare is the highest value in free travel. So, if we see airlines and hotel cards as similarly great deals, the airline card will get the edge in the rankings. Bonus spending requirement – We rank cards lower that require major spending as part of sign-up bonus. For example: Some cards offer 50,000 points if you spend $3,000 in the first 3 months, but then they’ll offer an add’l 25,000 points if you spend $10-15k in additional spending over the course of the year. This is considered major spending to us and we do not factor that in for the normal free traveler. Ease-of-use – Factors such as customer service and redemption fees play a factor in our rankings. We don’t want you to spend hours on the phone with poorly trained, off-shore customer service when you have a question about your card. Avoiding ridiculous fees for redeeming free travel are also important to us. For example: Frontier – You might get a “free flight” on Frontier Airlines with 20,000 points. But, you have to spend a reward redemption fee, bag fee for carry-on or checked luggage, and a seat booking fee. You might spend $96 in fees for a “free” $110 flight! The three major bank rewards programs are Chase, Amex, and Citi. Here are some comprehensive guides to help you understand them better. 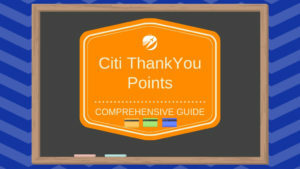 Everything you wanted to know about Citi ThankYou Points. 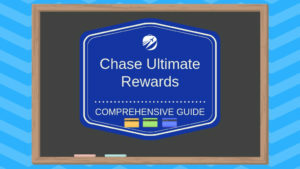 Everything you wanted to know about Chase Ultimate Rewards. Everything you wanted to know about Amex Membership Rewards. Want personalized recommendations? Log In to your account to see your CardGenie Recommendations. Am I Eligible For a Business Credit Card?